A June 12 story in Quartz provided some very odd reasons why investors should trust Elon Musk, particularly in regards to SpaceX. There’s no disagreement here that the Falcon Heavy launch in February was spectacular, but SpaceX and Tesla have been riddled with so many problems that trusting Musk to deliver anything on a regular and profitable basis is folly. Even worse, though, investors are being asked to trust him with gobs of taxpayer money. It’s easy to become bedazzled by the sight of Falcon Heavy and its oh-so-clever inclusion of the Starman-driven red Tesla, yet recall that Musk promised delivery for this in 2013, so he was five years late. Along the way, the darn things have exploded on more than one occasion and their usefulness has been challenged. A WSJ article suggested that SpaceX would be “too small for ferrying crews or delivering major cargo packages into deep space," as well as "too big to serve today's generation of smaller satellites." When the chief of Boeing’s international space station astronaut program says, “I don’t understand what their [SpaceX’s] plan is,” it seems likely that Musk doesn’t know, either. It’s one thing if there’s garbage lying around a Tesla factory. That’s probably not going to lead to a major catastrophe. When it comes to rocket science, however, the tiniest little thing can lead to utter disaster. A broken tool that ends up inside one a rocket? That’s worse than a surgeon leaving a sponge inside a patient. Why would investors trust a guy who can’t even keep his critical workstations clean? Yet, the Quartz article would have us believe that because SpaceX is such a fantastic operation, we should expect to believe that all that success would influence Tesla and Musk’s other projects. None of these claims make any sense. Why would Tesla benefit just because it’s in the same location at SpaceX? Or because they share a company plane?As for those bonds, everyone knows that was a self-dealing arrangement that, among other things, bailed out his cousins. If these are the best that Quartz can come up with, investors should be running for the exits. Moreover, the claim that a company’s successful product conclusively results in other successes by the same company has no basis. In fact, the reverse often occurs. New Coke, anybody? Meanwhile, Tesla continues to stumble. Where to begin? A Tesla S just happened to burst into flames without warning. Its chief engineer just ran for the hills. Borrowing to purchase a Tesla is now more expensive. Musk apparently asked engineers to stop putting Model 3’s through standard brake and roll alignment tests, which seems odd until you remember Tesla was rushing to meet its promised production rate by June 30. Moody’s had downgraded even Tesla’s junkiest of junk bonds back in March. 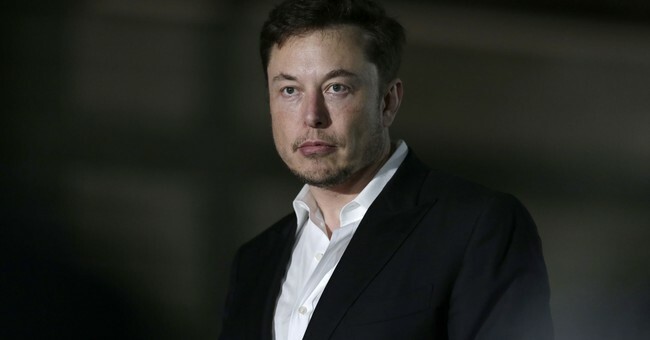 After laying off 9% of its workforce and cutting back on capex, the NY Times pointed out that these “typically are not the acts of growth companies that are having just a little trouble achieving their goals,” and the Motley Fool drove the point home, saying “this isn’t bullish.” No, it isn’t, and it’s exacerbated by Musk having his attention pulled in so many directions. So it’s perplexing why Quartz would claim that Tesla is a good bet, not to mention that it’s the most shorted stock in the market by value. The real crime here, however, is that all of Musk’s projects are heavily subsidized by the taxpayers and this needs to end. Tesla has used $5.3 billion in taxpayer money: a $3 billion factory subsidy from California, another $1.3 billion tax incentive from Nevada, a $45 million discounted Department of Energy loan, $517 million in the sale of California and other regulatory credits, $284 million in federal income tax credits given to Model S buyers and $257 million in other incentives. It is outrageous that taxpayers are footing the bill for these projects at all, much less the fact that they have no chance of otherwise being profitable. SpaceX itself has to rely on government contracts for most of its launches, and Tesla is a slow-motion train wreck.